Type 2 diabetes can be a silent killer. Many people have diabetes and don’t know it because the early symptoms are easy to dismiss. 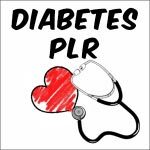 The Diabetes PLR package contains 5 articles, which discuss Type 2 Diabetes, who is at risk, how foods affect the condition, how to manage Type 2 with exercise and how to reverse the disease. Covers the basics of type 2 diabetes, which include copies of the content in PDF, Word and Text formats. This Amazon checklist offers 10 diabetic products you might want to consider promoting from your blog to earn commissions from this Diabetes PLR package. These are the 10 top sellers in the health and beauty category. Type 2 diabetes is a metabolic disease. It affects how your body converts the food you eat into energy. When a healthy person eats food, the pancreas produces a hormone known as insulin. This hormone helps their body break down the foods they eat into a form of usable energy. When people with type 2 diabetes eat food, the pancreas can’t produce enough insulin to help the body break down their food completely. The failing process causes excess sugar to build up in a diabetic’s body. A high sugar level can make a person feel unwell. Type 2 diabetes can be a silent killer. Many people have diabetes and don’t know it because the early symptoms are easy to dismiss. At first, you may just feel sluggish and tired frequently. You may notice that you’ve lost a few pounds when you step on the scale. After eating, you may feel dizzy or develop headaches. As the disease progresses, you might notice that you’re losing even more weight. You may also experience a frequent thirst and an urgent need to urinate. These are two important signs of diabetes, and if you have these symptoms, you’ll need to make an appointment with your primary care physician. Is there a test for type 2 diabetes? If your doctor suspects you might have type 2 diabetes, he may tell you that you need an A1C check. The A1C is a simple blood test that gives your doctor an idea of how high your blood sugar has been for the past three months. If your results come back within normal range, then you don’t have diabetes.